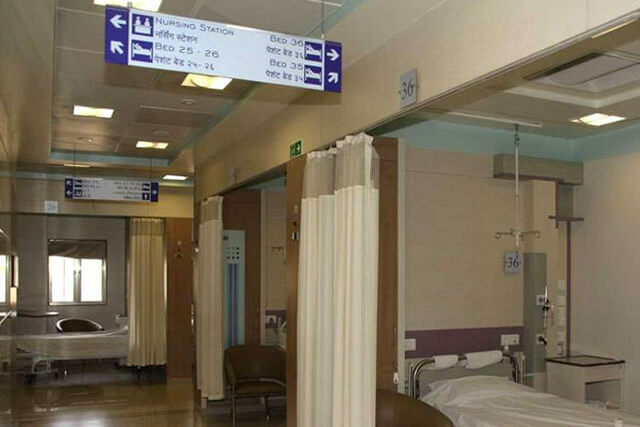 Our emergency department works around the clock. In case of any emergency contact the casualty medical officer on 24452575 for the ambulance services. If you have a mediclaim policy, you are required to approach the Company directly for reimbursement of your bills for which you will need (i) the final bill, (ii) the detail bill, (iii) the discharge card and (iv) narrative summary. The final and detail bill will be given by cashier on settlement of dues. The discharge card will be given by the ward nurse at the time of discharge and the narrative summary from the Medical Record Dept. (East Bldg. )/ Ward. 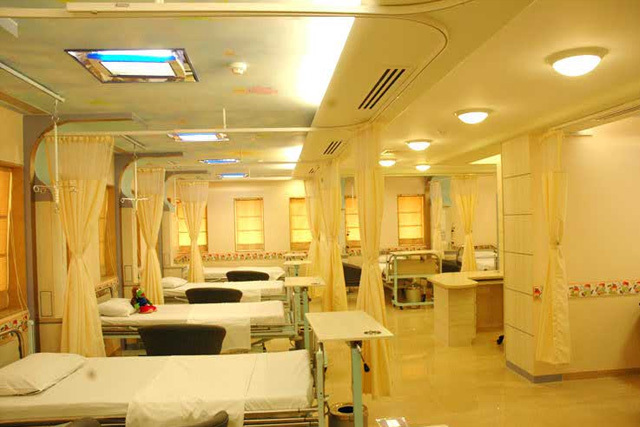 The bed charges are calculated from 11.00 am to 11.00 am irrespective of the time of admission. Mode of payment is by Indian Currency.To help you encash your dollar orT. Cheque, provision is made through the Citizen Cooperative Bank/Thomas Cook. For help contact Admission / Billing Counter. 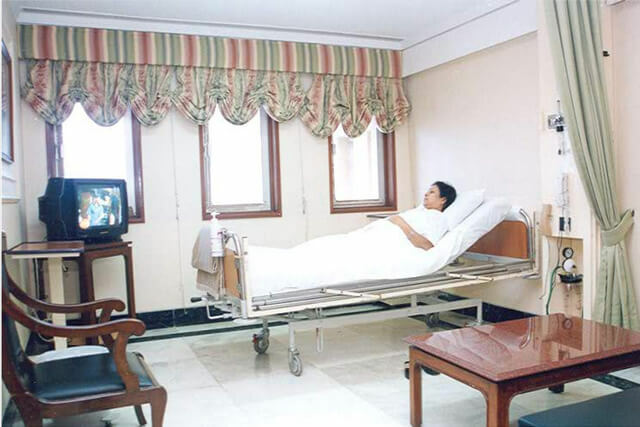 We do not encourage patient's relatives to stay overnight with patient's in shared rooms/wards. We have telephone facilities @ Rs. 5.00 for every 3 minutes. Please contact the floor staff for the direct telephone number of your room. We also have a Telecommunication Centre in the main lobby. To facilitate patients who need to call on STD/ISD this facility has been introduced through Telephone Operators for the patients of MEDIAN-A / SPECIAL / DELUXE / SUITE billing class in the room.The call charges will be computed and billed on discharge.The call charges will not be reimbursed by Corporate/T.P.A. 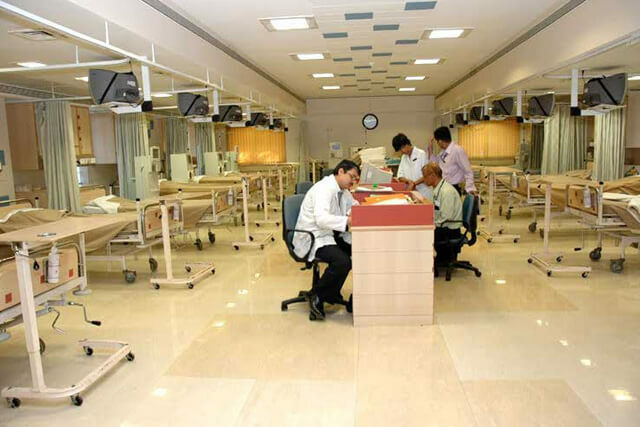 Pending reports are to be collected from the centralized reports counter on the ground floor of the Hinduja Clinic between 8.00 am to 8.00 pm, Monday through Saturday. 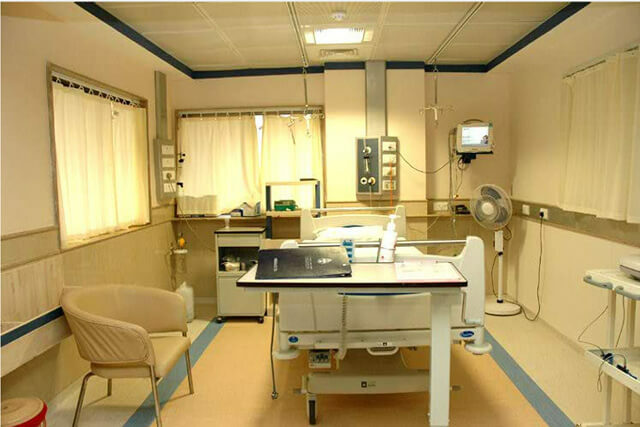 One additional visitor’s pass (07.00 am - 07.00 pm) per patient is issued by the security department (Valid for three days) on prescribed form available with nursing staff in each ward. The requisition should be recommended by treating consultant only. Renewal requires fresh recommendation on the form by the treating consultant. Kindly bring the original pass issued during admission, for renewal of additional pass.